Behringer XENYX 802 Mixer with Xenyx Mic Preamps And British EQs. 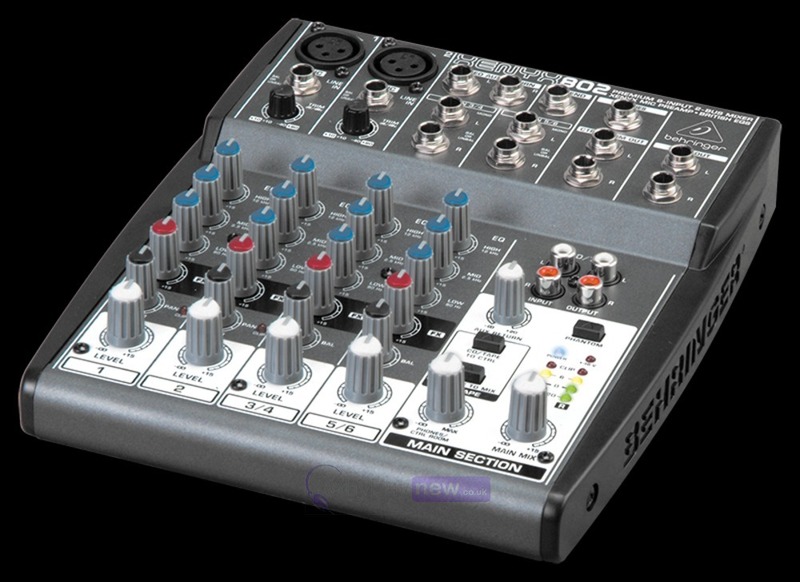 This highly affordable, quality Behringer 802 mixer with two XENYX Mic Preamps and 3-band EQ. The Behringer XENYX 802 has 8 inputs and a FX Send control for each channel. Additionally, assignable CD/tape inputs have been incorporated for routing flexibility. The XENYX Mic Preamp matches the sound quality, transparency, headroom and even the dynamic range of boutique-style, stand-alone mic preamps. Behringers neo-classic British EQ brings back the warmth and musicality of those 60s and 70s mega-console desks that made music history. Here we have the Behringer Xenyx 802 mixer in brand new un-opened or B-stock. The B-stock versions would have been on display and will come boxed 'as new' with all accessories and a 1-year warranty. This Behringer Xenyx 802 Premium Mixer does not include original packaging but has been professionally packaged to ensure safe delivery to your door. 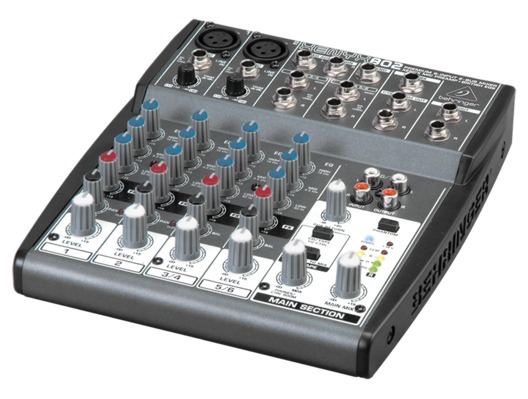 Buy this amazing Behringer 802 mixer with confidence from one of the UK's largest Behringer UK dealers with 100% satisfaction guaranteed or your money back! 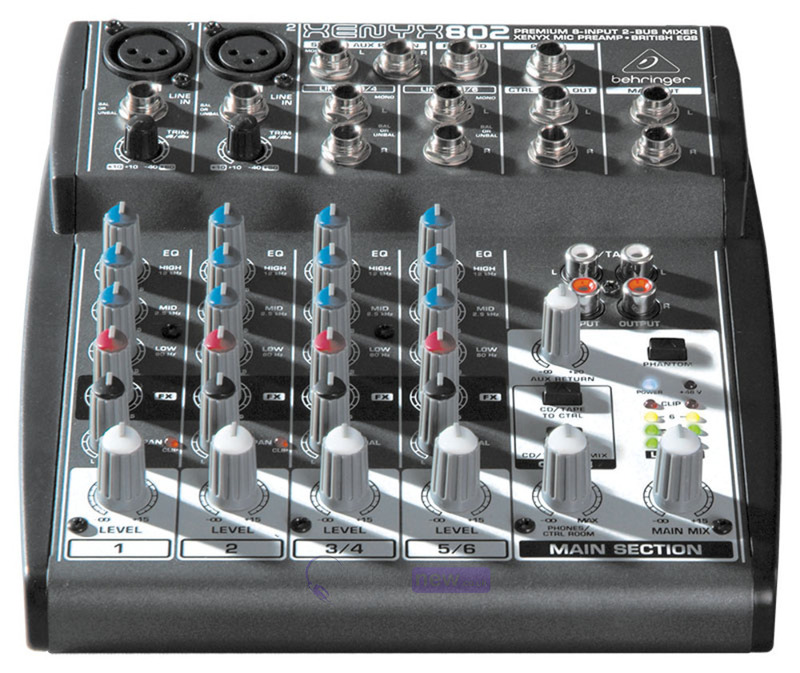 As far as budget compact mixers go the Berhinger 802 is pretty unbeatable at this price point. All The Knobs and buttons have a quality feel to them. I only use this for talkback in my recording studio but the microphone preamp quality is excellent with very little noise or hiss. would be ideal for a solo act or duo, singing to backing tracks or a presenter, quizmaster etc. Recommended.